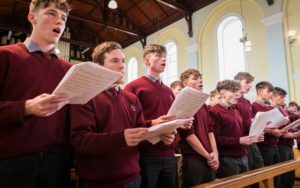 To commemorate the centenary of the death of Thomas Ashe past pupil of the De la Salle Teacher Training College a special commemorative Mass was held in the College Chapel on the 5TH October. The College choir conducted by Br. Ben sang at the Mass. 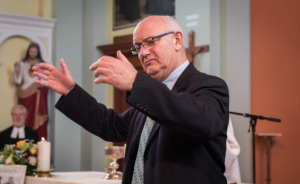 The Mass was followed by a lecture on Thomas Ashe’s life delivered by Mícheál Ó Móráin from Baile Riach, Co. Kerry author of the book ‘Thomas Ashe 1885-1917’Thomas Ashe was called to the De la Salle Training College in 1905. He completed his Christian Doctrine Diploma and also qualified in Irish,vocal music and plain chant. Whilst here in De la Salle College he played on thefootball team 1907. 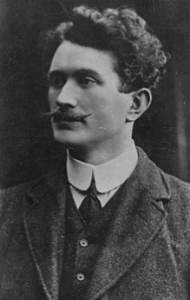 Thomas Ashe was an active member of the Gaelic League and GAA also whilst in the College. He was regarded as a gifted teacher who had a keen interest in the Irish Language, history, music and song. 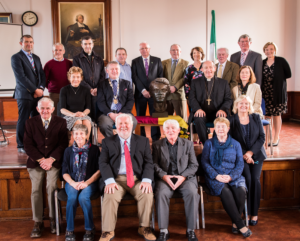 A reception was held for all in the College dining hall following the Mass and lecture commemorating the centenary of the death of Thomas Ashe.